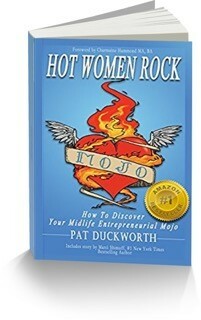 Real, Raw and Relevant conversation with Pat Duckworth, Midlife Mojo expert. I love to be surprised and delighted with the inspected. And that is what happened the day I met her. A gentle and unassuming Brit and a blond to boot. Little did I know, at the time, my life was about to take radical turn. As women entrepreneurs we all seem to face that fear wall of “doing it alone”. That can take a life time and years of therapy to figure out…and believe me, I know. But what if instead of figuring it out…Which from my POV is about as productive as dirt. You just give yourself permission to be yourself. Re-frame all those missteps, falters and failures as learning to be masterful. 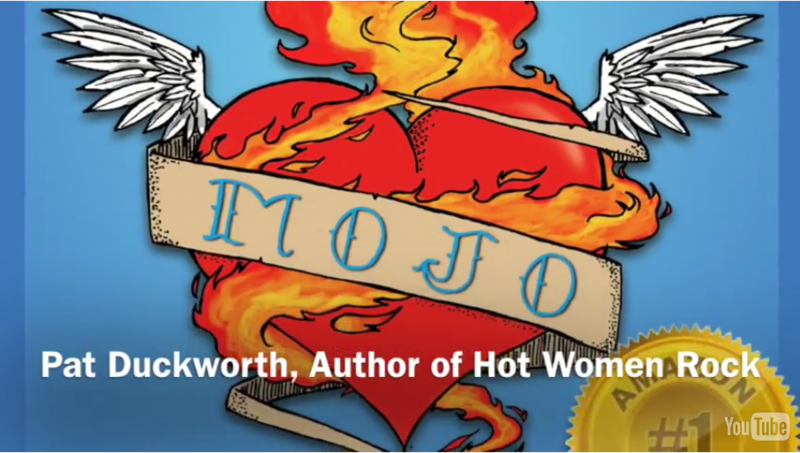 Hot Women Rock is about YOU. You will discover how many successful women failed their way to the top. And really see you are not alone. If you want help with your website, brand, messaging or personal story you know where to find me. The Stand Out website checklist makes creating your website, branding & self promotion a no brainer! Networking, when done correctly, gives you a significant advantage over any competitor. Grow your social currency as well as your net worth with the Rebel Networking Checklist! Ann Bennett Marketing shared a link. Your Renegade Brand is the Missing Link between the business that makes you struggle and the business that drives your success. Ann Bennett Marketing shared a live video. Enjoy some late-night shopping with yo girl! It's Late Night Shenanigans! So sit back, relax with your favorite drink and shop!!! Ann Bennett Marketing was live.